House hunters are being asked to help bring more homes to Dorset by signing up to the Opening Doors Home Ownership Register. House hunters are being asked to help bring more homes to Dorset after the county’s average property price hit £311,426. 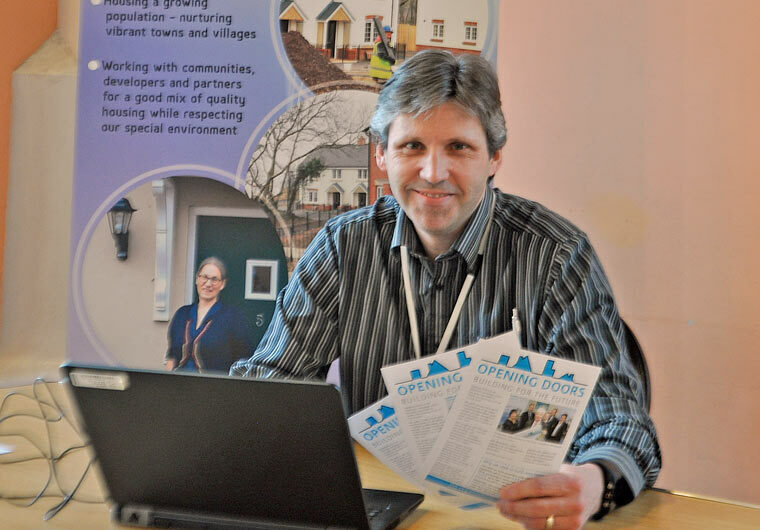 They are being urged to sign up to the Opening Doors housing campaign’s Home Ownership Register to give councils crucial information about the types of housing needed. West Dorset District Council, Weymouth & Portland Borough Council and North Dorset District Council have joined forces for Opening Doors to encourage greater housebuilding with a target of 20,000 more homes by 2033. The call for more people to sign the Home Ownership Register at http://www.openingdoorsdorset.co.uk/home-ownership-register/ comes in the wake of new figures in the National Housing Federation’s updated Home Truths report. It showed that the average house price in Dorset had risen from £295,202 to £311,426 with an average property costing nearly 13 times the average salary. Information about the Home Ownership Register is being placed in council offices, leisure centres and public buildings, and will also be available at community events during the Spring and Summer. The register is aimed at anyone seeking a home in North Dorset, West Dorset or Weymouth & Portland, whether that is for open market, affordable, shared ownership or rental housing. It will give the councils the power to argue for developments of specific kinds with statistics at their fingertips. Signatories will be among the first in line to receive information about the latest housing developments and plans for new homes in the area as well as details of government initiatives. They may also be contacted directly by housebuilders and developments about new opportunities in their area. The Home Truths report shows that the average property price in North Dorset has risen to £283,114 – 11.4 times the area’s average salary. In West Dorset it is £307,181 and 12.3. In Weymouth and Portland it is £232,266 and 10.8. Visit http://www.openingdoorsdorset.co.uk/pt-case-studies/updated-home-truths-report-2017-18/ for more details. The Home Ownership Register is different to the Dorset Home Choice Housing Register, which is for people in need of social rented properties. Council officers were on hand with the Home Ownership Register at recent Magna and Dorchester Town Council consultation events. The Home Ownership Register and more information is available on the Opening Doors website at www.openingdoorsdorset.co.uk.